Veterans of Foreign War Post 8235 and American Legion Post 626 have continually supported the mission of the 7BMW, particularly through their effort during our mobility exercise within the past year. One specific instance of their support was during the Busy Bobcat IV exercise which started on Friday 25 July 1980. On this date, the Veterans of Foreign War Post 8235 and American Legion Post 626 were contacted by MSgt Linder in regards to providing cakes and cookies for Busy Bobcat IV exercise. These two organizations, which serve the community surrounding Carswell, responded promptly and on Monday 28 Jul 80, started providing the snacks to the NCO club for delivery to the flight line areas. 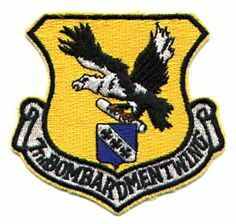 They continued to provide support for the 7th Bombardment Wing until the evening of 31 Jul 80. The members and auxiliary of VFW Post 8235, and the Ladies Auxiliary of American Legion Post 626, should be commended for their outstanding efforts to serve and support the 7th Bombardment Wing.